Mitaxi.net offers chauffeured vehicles for hire with the highest guarantee and trustworthiness in the main cities and airports of Spain. . You can enjoy your chauffeured car with service tailored to your needs. We offer Standard, Premium, VIP and Minivan vehicles for groups of up to 7 people throughout Spain and for any destination. We provide completely legal services with the best professionals from each city. Our chauffeured car services give a touch of distinction at the same time as they allow you to travel as if you were in your own car, without drawing attention. Request your quote in one minute by filling out this form with your information and we will respond today. EXPLAIN ALL THE SERVICES YOU NEED HERE IN AS MUCH DETAIL AS POSSIBLE SO THAT WE CAN QUOTE YOUR PERSONALISED JOURNEY. If you only need a private taxi or transfer with a driver, you may find it by filling out our online booking form, where you can see prices and types of vehicles. We adapt to our client’s needs. Tell us what you need and we’ll propose the best solution with incomparable professionalism and quality service. It seems obvious, but it isn’t. When you book with us, you can be sure that everything will go smoothly. Our Customer Service Team will take care of everything. We guarantee safe, legal and trustworthy service with the best professionals from each city. 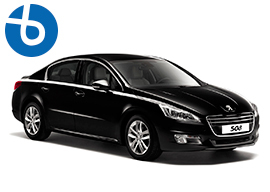 The best chauffeured vehicle service in Spain. We are responsible for and take care of you. We work so that your transfer is safe and secure. If that doesn’t matter to you, maybe we’re not for you. 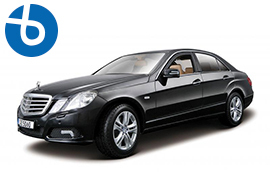 We offer chauffeured car services that are legal, professional, serious, discreet and tailored to you. We know that this is a very personal service and that’s why we adapt to your needs—whatever they are. Booking with us is guaranteeing that everything is going to go well. By booking with mitaxi.net, you will receive hired car services in Murcia, Madrid, Alicante, Benidorm, Valencia, Barcelona, Malaga, Bilbao, Sevilla, Albacete, Almería and in all of the main cities of Spain, for all types of journeys and with fully equipped vehicles. Plan your surprise-free transfer with us and enjoy our fixed prices. We offer all guarantees required by the current Transport Laws (high class vehicles, VTC National Transport Licenses, professional drivers with executive uniforms, BTP license, civil responsibility insurance, technical service and 24 hour traffic management), assuring you 100% coverage for any of our services with our friendly and experienced chauffeurs. All of our vehicles have a VTC Transport License. Only cars with licenses and that meet all legal requirements guarantee your safety (public transport service) and complete coverage so that you can travel safely and without worrying. (unlimited civil responsibility insurance). Transfers with chauffeurs from all airports in Spain, including Madrid-Barajas, Barcelona, Alicante, Valencia, Murcia, Malaga, Bilbao… with security, punctuality, and customer service as our company’s main values. If you need to do an airport transfer with a chauffeured vehicle for celebrities, famous people, or for official organisations, our customer service operators can coordinate a safe journey that respects the protocols you lay out at any given moment or for the whole trip with no problems. In Mitaxi.net we have a lot of experience and availability for any type of event related to the world of business in Madrid, Barcelona, Valencia, Alicante, Murcia and in the main cities and airports of Spain. 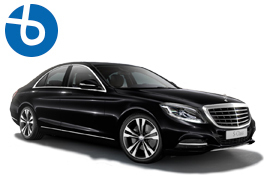 We offer Standard, Premium (Mercedes Class E), VIP (Mercedes Class S and similar), Minivan, and Minivan Premium Services and Vehicles as well as vehicles for large groups. Enjoy the comfort and professionalism that our chauffeured vehicle services provide whether it be for you or a guest. Meetings, conferences, fairs… our team plans with your secretary or team to complete your point-to-point journey with maximum professionalism, safety and efficiency. With Mitaxi.net, we offer monthly invoicing, reservations and service controls, by providing you with the latest web tools. Transport for business people and businesses. We take care of your clients’ journeys so you and your business can be the perfect hosts. Hired vehicles with drivers for transport at events and conferences. We offer the right personnel to help you organise the perfect transport services for your conference, from beginning to end. If you decide to hire your chauffeured car with us, you can do it by calling 968 976 386, by email at info@mitaxi.net, or you can also request a quote online by filling out the reservation form you can find above. Our response is practically instant. Forget about queues and save time. Take advantage of our chauffeured cars. Leave it to us! We organise your journeys according to your needs. If you wish, we can provide monthly invoices with breakdowns of the services and transport you’ve used. One way and return pick-up and transport to anywhere in Spain. 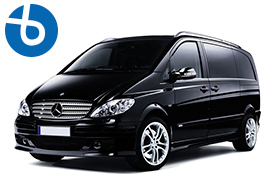 We organise transport and pick-ups for your business throughout Spain. We take you and pick you up at any airport. Without extra charges for luggage. Seriousness, punctuality, discretion, friendliness and professionalism are our main values. We operate 24 hours a day, 7 days a week. You will always find an operator who speaks English ready to assist you. Leave it to us. We organise all of your trips. The best service adapted to your needs. Both discreet and distinguished. We always work with local partners in compliance with the current legislation and all of our vehicles rigorously comply with all legal requirements related to the private passenger transport sector: documentation, licenses, insurance, etc. All of our services in airports and stations include waiting and welcoming the passenger with a sign with their name in the arrivals hall. We also offer the possibility to include a company’s or event’s logo on the sign. Quick and efficient responses to any circumstances, such as the unforeseen need to include an additional vehicle (for reasons such as extra luggage that we weren’t previously informed about). Your transport with no problems. With just one call or web request, you can manage your whole trip, booking one way or round trip transfers. We take care of everything. Wherever you go, we will be waiting. Your complete private transport service.